Freshman Emily McDonald has been logging significant minutes at forward for the Panthers, and Sunday evening at Hobomock Arenas, she collected her first career varsity goal. PEMBROKE — With a rash of offensive production gone from last season, opportunities have arisen for many younger players on the Whitman-Hanson/Silver Lake high school girls’ hockey team. One of those younger players getting the chance to shine is Emily McDonald, a freshman from Whitman. McDonald has been logging significant minutes at forward for the Panthers, and Sunday evening at Hobomock Arenas, she collected her first career varsity goal. With 6:41 remaining in the third period, McDonald, from inside the blue line, blasted a shot on the La Salle Academy/Moses Brown goalie Asia Porter, and it found the back of the net. “[It felt] good,” McDonald said of her goal. 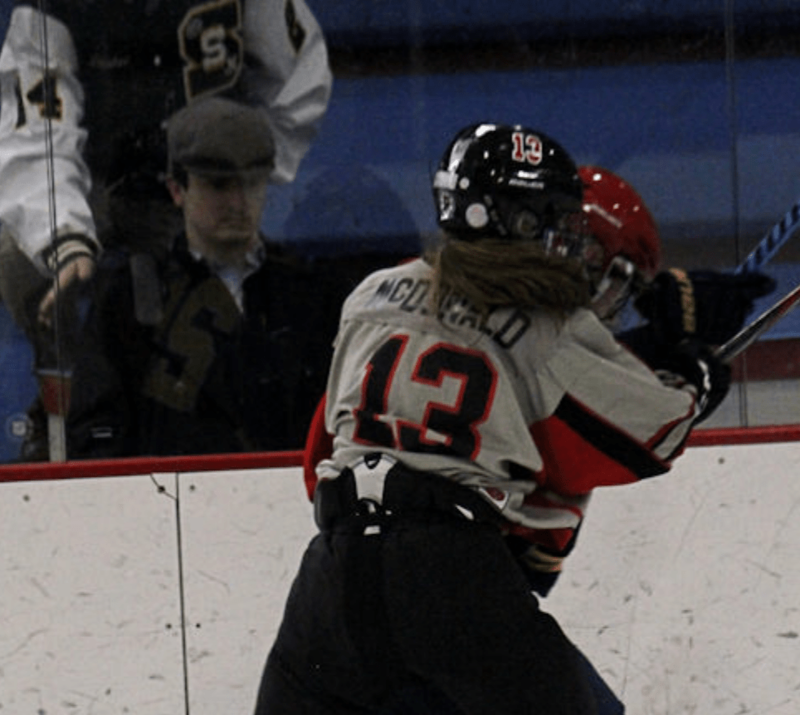 WHSL head coach Kevin Marani said McDonald had been snakebitten a bit this season – hitting the post on a few chances in a pair of prior games – so he was happy to see her have something to show for her savvy play. McDonald’s tally was one of three WHSL (0-7) goals in an 8-3 loss to La Salle Academy/Moses Brown (10-0-1). The first came just 52 seconds into the contest when sophomore defenseman Natalie Nemes (Kingston) worked her way up the boards, to left circle and flicked a shot that beat Porter right over her left shoulder, making it 1-0. The advantage was WHSL’s first all season. Unfortunately for WHSL, it would not last as LA/MB knotted the score at 1-1 with 7:11 remaining in the first period when Alexa Morra blasted a wrist shot past freshman goalie Kat Gilbert (Halifax). Less than a minute later, LA/MB went ahead 2-1 and that’s where it stood after the opening frame. The second stanza is where the contest would get away from the Panthers as 41 seconds into it, the visitors pushed ahead 3-1 when Grayson Goolgasian found twine. Tallies by Samantha Marsh and Jennifer Rickard gave LA/MB a four-goal cushion through two periods. With 6:41 remaining in the final stanza, McDonald’s tally drew WHSL within 6-2. 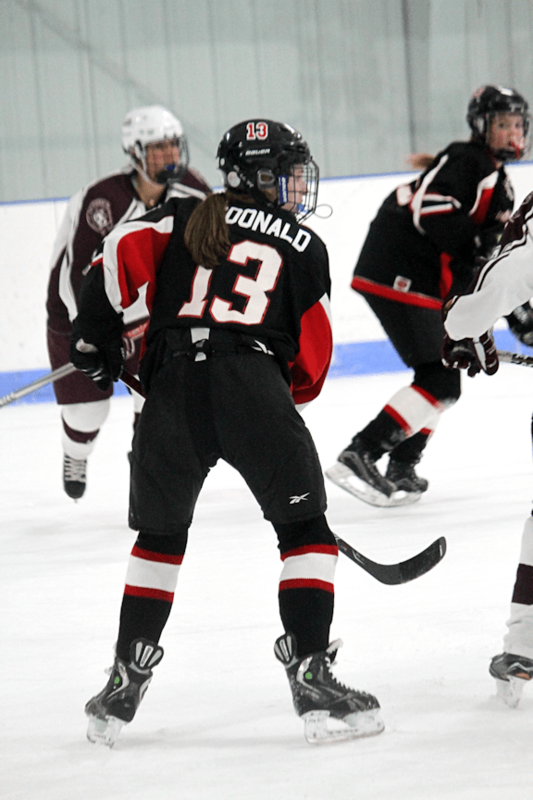 After another LA/MB goal, WHSL’s Meagan Elwood (Kingston) found the back of the net with 2:31 left, making it 7-3. However, it took LA/MB 14 seconds to respond as it made it 8-3 and that’s where it would stand. WHSL will be back on the ice Saturday, Jan. 13 at 6:30 p.m. against Haverhill/Pentucket/ North Andover at The Bog Ice Arena in Kingston. WHSL is now tasked with replacing 80 percent of its offensive production from last winter, its starting goaltender and three of its four starting defensemen. The Whitman-Hanson/Silver Lake high school girls’ hockey team enters the new season with a lot of challenges — some that were inevitable, some that frankly blindsided it — but you won’t hear it making excuses, that’s for sure. As the final horn blew last March that concluded WHSL’s campaign with a 2-0 loss to Winchester in the first round of the Division 2 state tournament, it would be the last time two of the program’s most decorated players — Mel McAleer and Hannah Tracy — would sport Panthers black and red on the ice again. McAleer and Tracy, who combined for 194 goals and 142 assists dating back to the Pembroke/Whitman-Hanson co-op, headlined an eight-player senior class that guided WHSL to a 38-19-5 record, back-to-back SEMGHL Northeast crowns and its first tournament win since the co-op’s inception at the outset of the 2014-15 season. WHSL head coach Kevin Marani said the loss of McAleer and Tracy, who both hail from Hanson, serves as a great opportunity for the players on this season’s team. On top of the senior class’ departure, two players Marani was going to rely heavily on this season in sophomores and SEMGHL Northeast All-Stars – forward Alyssa Murphy (20 goals and 23 assists in 2016-17) and defenseman Delaney Grace (five goals and 13 assists) – opted not to return to the club, which threw a wrench into the Panthers’ plans. WHSL is now tasked with replacing 80 percent of its offensive production from last winter, its starting goaltender and three of its four starting defensemen. Regardless of the losses, WHSL does, however, return sophomore defenseman Natalie Nemes, who burst onto the scene last season contributing big minutes for the Panthers en route to being named an SEMGHL Northeast All-Star. Joining Nemes on the WHSL blue line will be sophomore Antonia Driscoll and junior Zoe Lydon (Hanson), both of whom played sparingly last winter. Along with those three, the co-op will need at least one newcomer to solidify herself into a starting role, but who that will be is up in the air at this point. That freshman goalie Marani referred is Kat Gilbert, who he said has impressed him thus far. Gilbert is just one of about a dozen freshmen that will take the ice for WHSL this season. 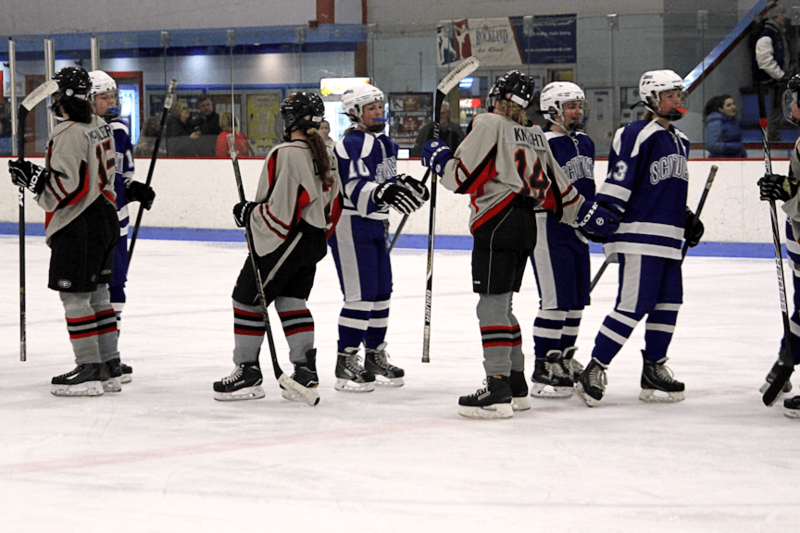 Another change for WHSL this season is it will be competing in the newly formed girls’ hockey Patriot League, which will offer some enhanced play with the likes of Duxbury, Hingham and Pembroke in it. 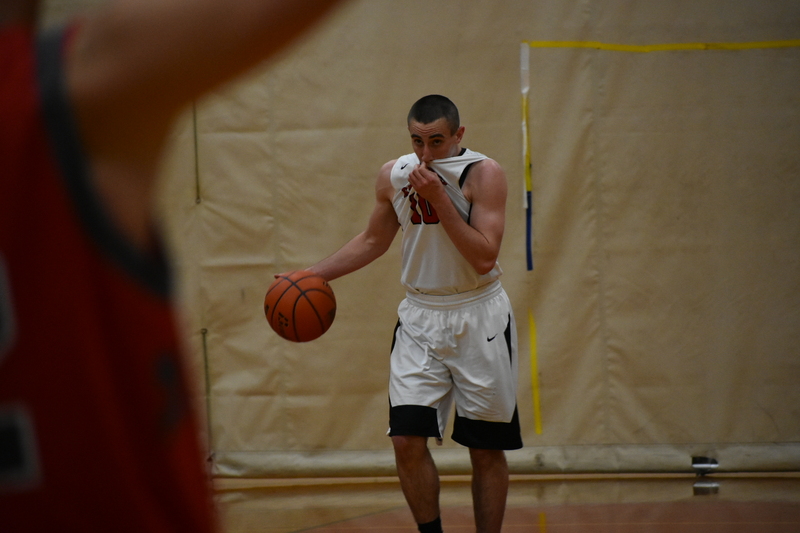 Not only did the Panthers’ path to a Division title get a bit tougher, but its route to a possible state title down the road did as well, as they have been moved from Division 2 up to Division 1. Regardless, Marani said as long as his club gives it its all, that’s all he can ask for. WHSL will open its season on Saturday, Dec. 16 at 8:45 p.m. at Hobomock Arenas in Pembroke against Marshfield. 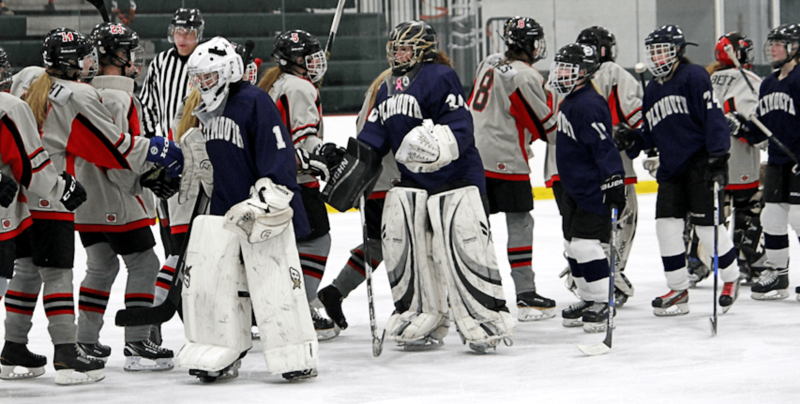 Whitman-Hanson/Silver Lake girls’ hockey bowed out of the Div. 2 state tournament with a 2-0 loss to Winchester. KINGSTON — They say all good things must come to an end. For the Whitman-Hanson/Silver Lake girls’ hockey team, that proved true Sunday. The co-op gave it everything they had, but came out on the wrong end of the stick in a 2-0 defeat at the hands of Winchester in the first round of the Division 2 state tournament held at The Bog Ice Arena. Sixth-seeded WHSL (15-4-3), which was in the midst of its best campaign since its inception in 2014, allowed a quick goal 3:05 in, and could never recover, as No. 11-seed Winchester added another tally late in the third to secure its victory. The Sachems silenced a WHSL offense, which found the back of the net 120 times coming in, and had only been shut out once (5-0 against Duxbury Feb. 5) all season. Winchester (14-4-4) will meet No. 14 Canton (12-4-6) in the quarterfinals Saturday at 5:15 p.m. at Galo Ice Arena. At the 11:55 mark of the first period, the Sachems’ Mariah Redler snuck behind the WHSL defense and found herself all alone with netminder Melissa Crone and flung a shot on goal. The senior goaltender looked as if she had made the stop, the referee at the goal line signaled for the save, but the referee at center ice overruled him. The Sachems had a few more quality chances on net – including a Redler blast from the face-off circle – but Crone stood strong in goal. WHSL found itself on the power play with 9:14 remaining in the second period, but failed to even record a shot onnet. Late in the second period, Mary Kate Webb ripped a blistering shot on Winchester goalie Baile Lazarus, who turned the senior captain away with a glove save. With time winding down in the second frame, Tracy found herself in 1-on-1 with Lazarus, who yet again rose to the occasion to preserve the shutout. 2:59 into the third period, Meave Hickey beat Crone on a wrist shot to push the Sachems ahead 2-0, and that is where it would stand. 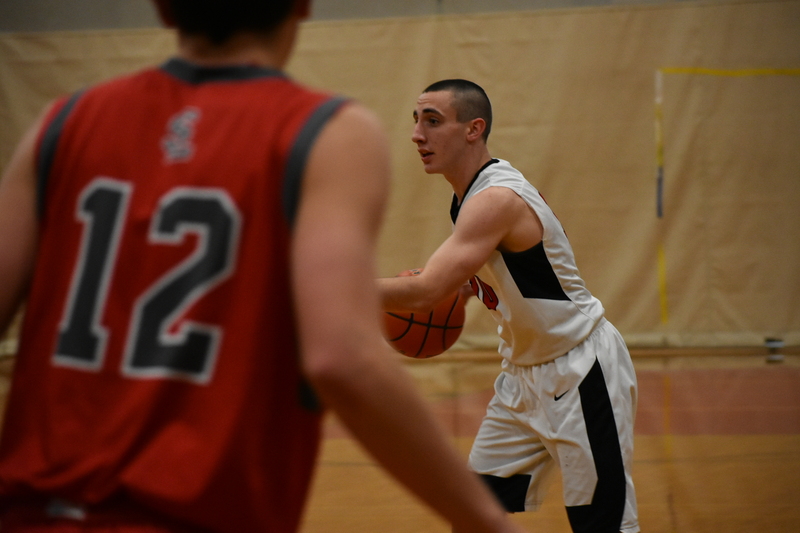 Over the past three seasons, the Panthers have snatched back-to-back SEMGHL Northeast titles, have not missed the MIAA tournament and have gone 3819-5. But this go-around had the makings of something special. 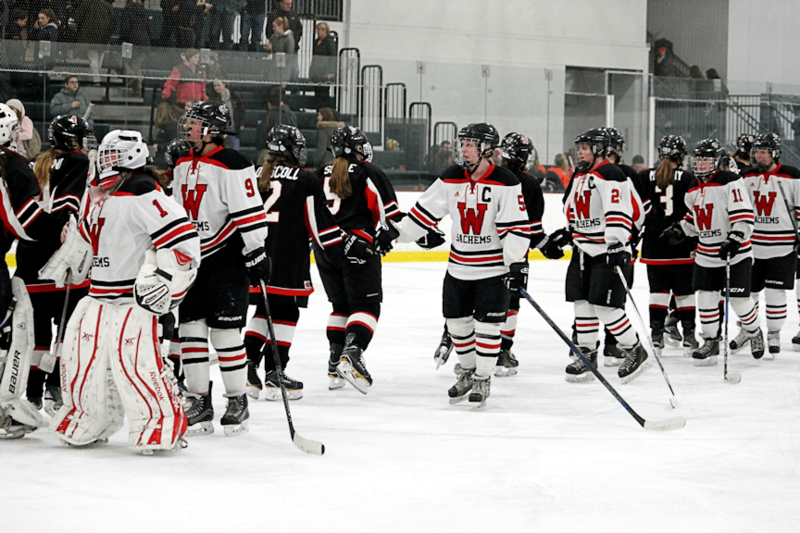 Not only was it the first year WHSL had made it out of the preliminary round of the tournament, it was the last season on the ice sporting red and black for seniors Tess Corkery, Crone, Sophia Dauksevicz, Katie Johnson, McAleer, Tracy and Webb. If there was ever a lining coming from the defeat, it is the mark all seven of them have had on the underclassmen of the team. They helped establish a culture, a tradition, a foundation and most importantly a hockey program. Hanson’s Mel McAleer and Hannah Tracy have been selected to skate in the Shriners All-Star Classic on Sunday, April 2 at 2 p.m.
Two members of the Whitman-Hanson/Silver Lake high school girls’ hockey team have been tabbed to skate in the Shriners All-Star Classic. Hanson residents and WHSL captains Mel McAleer and Hannah Tracy will be representing the co-op as members of the South roster in this year’s event on Sunday, April 2 at 2 p.m. at the Canton Ice House. The Shriners All-Star Classic features the best players in the state and squares off the North against the South. After the rosters are finalized, each player is tasked with raising money for Shriners Hospitals for Children, a health care system of 22 hospitals dedicated to improving the lives of children by providing pediatric specialty care, innovative research and outstanding teaching programs for medical professionals. WHSL head coach Kevin Marani said he couldn’t be more proud to have two of his players in this prestigious contest. For McAleer, this will mark her second straight trip to the event. “I would say being nominated for the Shriners [All-Star Classic] twice was absolutely my biggest achievement on the ice,” McAleer said. McAleer, who has scored a lot of goals — 110 to be exact — in almost four seasons competing for Whitman-Hanson/Pembroke and then WHSL said it’s a great honor to be known as one of the best hockey players in Massachusetts but that says little about her as a person. “Being able to be use my ability to create [an] opportunity to give back to those who really need it as much as I do is a greater accomplishment that any number of times I can put a puck in a net,” McAleer said. With the Division 2 state title game slated to take place in mid to late March, this will be the final time McAleer skates as a member of the Panthers. “I am most excited for the game because it will be a great completion and it will ultimately be the last time I represent WHSL on the ice,” McAleer said. For Tracy, who was on the bubble of cracking the roster last season, this will be her first time in the Shriners All-Star Classic. The Whitman-Hanson senior said she received word of her nomination while skimming through her email and almost accidently deleted it. Tracy has racked up 21 goals and dished out 22 assists thus far this season and has been an integral part of WHSL’s success since its inaugural campaign in 2014— helping the co-op reach the postseason for its third straight year. In this contest, she said she isn’t worried about the fi- nal score. “The most exciting part about playing in this game is even if my team wins or loses we still win by helping out the Shriners Hospital,” Tracy said. The 1-2 duo of McAleer and Tracy is split up most of the year due to their instant impact on whoever they play with, and Tracy said she is hopeful the two can skate on the same line in this event. In preperation for the game, the two participants have set up GoFundMe campaigns to raise money for the Aleppo Shriners Children’s Transportation Fund.